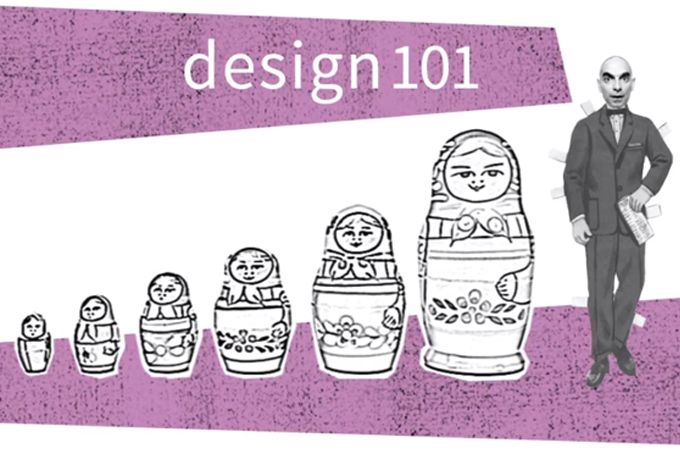 and our Design 101 (or design basics) MOOC trailer here. In our previous post, we looked at some specific case studies of narrative-centered learning environments that helped us in our projects. For a few months now, our small (and heterogeneous) team has been inventing a new narrative-based “design” educational model adapted to the age of digital information. As we mentioned many times, we love the idea of community. We find that it is one of the best places to learn, understand who we are and what kind of attitudes we have (or miss) within a group, find others that share the same visions and ideas and with whom to collaborate with in the future. A community in which to mix on-line and off-line activities. A place for participants to get to know each other, share references, play together and influence others through a series of hands-on exercises. A community in which to play games. A network created by game moderators (teachers) and players (students) completing missions (exercises) together. A community in which to test one’s social influence. A place to explore the potentials of social media such as Facebook, Twitter, Instagram. A place for learning to communicate and transfer knowledge in the most efficient way. A community as a source of interest and reference to others. A place in which participants become coauthors of an important collection of content and material. 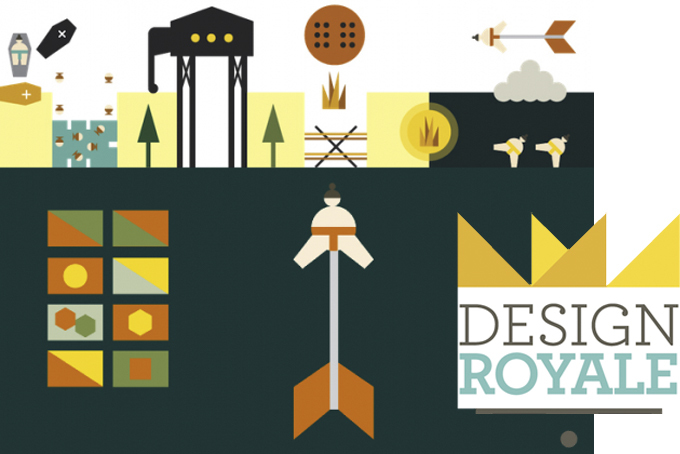 Design Royal was an experimental project for the 2011 Milan Design week: an on-line workshop, party-in-progress and mind-boggling night. An ongoing project made by people from all over the world and built through human relationships. It consisted of a pop-up event-exhibition involving 14 days of digital work using social media (facebook, twitter, flickr), 14 days of physical work in Milan hideaways and 5 days of play, work and games on-the-spot. All of this for one night at the secret garden, a magical hidden space where everyone was invited. We have been planning and developing an on-line / off-line game, open-source and auto-generative school system. 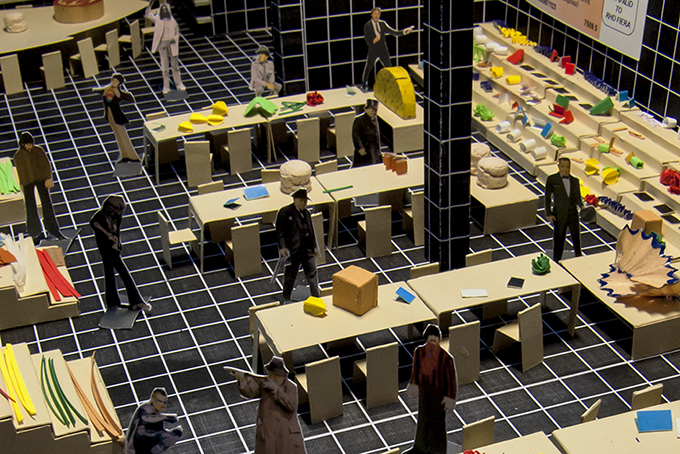 A school model that can be multiplied on different themes (design, fashion, photography, cooking). An Italian-based global network able to mix digital and traditional tools to connect a worldwide design community. 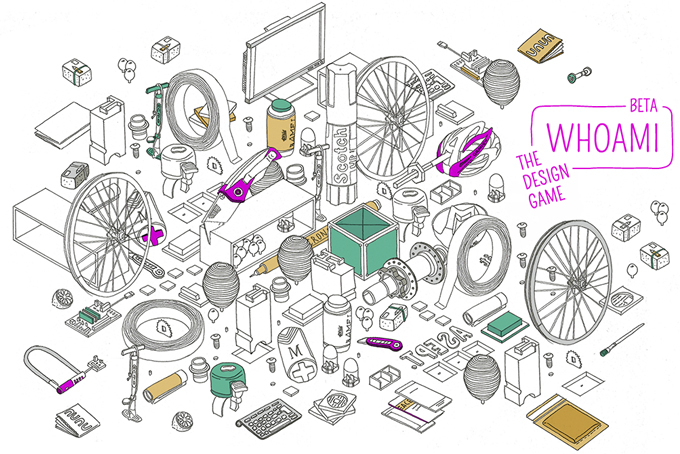 Whoami’s primary objective is to enable the players to increase their design-related skills through a series of practical activities and get them to understand which kind of designer they are thanks to the Whoami social influence algorithm that calculates each player’s strength, wisdom, charisma and amability. In the digital world, facebook is where the game takes place, twitter is where interesting content from the game is published daily and tumblr is where the players’ works are archived. In the physical world, players meet and build things together during workshops set in Milan or at Abadir in Catania. We participated to a competition for Iversity in which we had to propose a course via MOOC (Massive Open On-line Course). We are quite happy because it was announced this morning that we were one of the 10 winners! Our course, which will start in fall 2013 consists of a journey into contemporary design through 101 exercises. 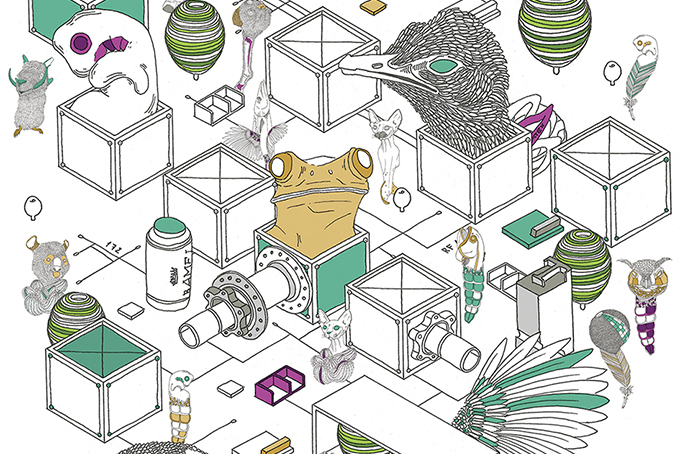 In this course, the student transforms his everyday life into 101 projects. In every given exercise, he is immersed into a particular subject’s universe through a series of references. Proposed films, books, websites, music to help him develop informed criticism on the certain task he needs to accomplish. The content shared and published through social media is redirected and reorganized into a digital archive available to all. At the end of the course, students have the possibility to print this archive into a book in which they are a coauthor. 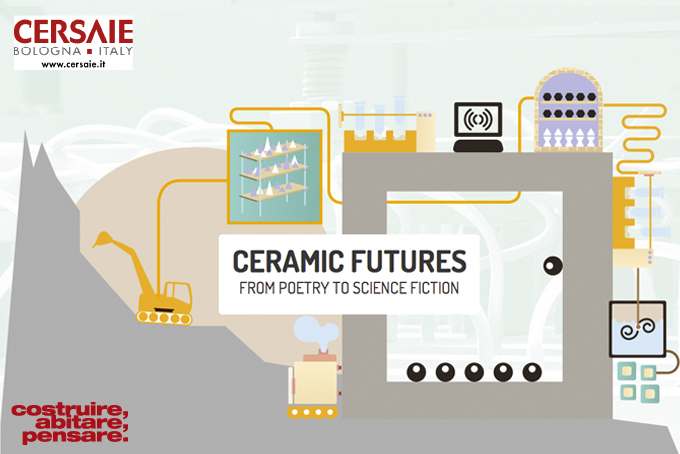 Ceramic Futures: from Poetry to Science Fiction is a 2 month design challenge between the Glasgow School of Art (GSA), Istituto Europeo di Design (IED) Rome, Politecnico di Milano (PoliMi) and Abadir Academy. Students from these schools will explore imaginative products and future contexts for ceramics by combining traditional mediums of design to an online diary connected to Facebook, Twitter and Instagram. To use design as if it were a tale, a story, a litmus paper with – as ingredients – our fears, our vanity, our manifest desires and those unmentionable, without forgetting irony and the taste of paradox. In the first place design is desire. Necessities can be faced if we understand them first of all as desires. Designing a better world was a dream of the last century: why should we commit the same mistakes again? Perhaps it would already be sufficient a design able to describe the world, able to make visible the most ambiguous and difficult physical and conceptual places: those that nobody wants to think about. At most, if we want to be really ambitious, a design that tries to open up some daylights towards other possible worlds. Walter Aprile, Stefano Mirti, 12 notes and ideas on design (and on teaching it in a cynical and cheating world). In: Hans Hoger, design research, Editrice Abitare Segesta, Milano, 2008. In our previous post, we defined the conceptual boundaries for our projects. Now, it is time to better define what we want to do through a series of specific case studies. In terms of keywords, we are talking about: school, education, design, innovative, community. We believe narrative-centered learning environments to be the most effective ones, “schools” as engaging worlds in which students are enabled to build and tell stories which are meaningful to them. Schools themselves have to be part of the narrative line. Whether these stories are organized into fictional or nonfictional narratives is not relevant for the time being. The important thing is that they are self-referential, purposeful and composed of connected events. Here, the goal is to define a school where the student feels to be part of a “story”. This doesn’t happen very often, and this is the reason why it is such an important ingredient. Furthermore, a very important thing not to be forgotten is: “form follows fiction”. People don’t need and don’t want new chairs, new houses, new things. The Pyramids, the Brooklyn Bridge, an iPhone or a pair of Nike shoes are not simply physical objects. Their main feature is to be a fascinating story. For schools, it should be the same. In order to proceed forward, we spent some time mapping the most interesting design schools taking this specific point of view into consideration (design schools based on a fascinating and exciting narrative system). This independent school of architecture, one of the most prestigious and famous in the world was “in/famously founded by a pack of troublesome students”. This school brought together the most outstanding masters and students seeking to reverse the split between art and production by returning to the crafts as the foundation of all artistic activity. A school where workshops were established in order to prepare master artists of the highest qualifications for industry, and builders and managers for professional-technical education. This school acted as a community whose methodological and structured field of study embraced aesthetics as a primary factor, “whose members bestowed structure and stability upon the world around”. This communications research centre aims to combine culture with industry and offers young people the opportunity for creative growth and multicultural, multidisciplinary interchange. Ivrea explored business in addition to design and technology for developing innovative products and services, giving people new ways to interact through communication, network and information technology. Mentioned below are some recent examples of schooling institutions where the “narrative” element is central. A Toronto-based studio that works towards collaborative design action and seeks to achieve social, ecological and economic innovation where everyone seek to live, learn, work, and play together as a global community. Based in a small shop in Central London, the School offers a variety of programs and services concerned with how to live wisely and well, directing people towards a variety of ideas, from philosophy to literature, psychology to the visual arts that exercise and expand the mind. An online open learning community allowing users to organize and participate in courses and study groups to learn about specific topics. A DIY wiki-type mentality where anyone can create a course as well as take one. A self-organized learning space where students barter with teachers for instruction. Anyone can teach or take a class. Committed to building the best learning experience inside and out, the Code Academy’s vision is that every student should have the opportunity to learn how to code, allowing much importance to computer science and computer programming as part of the core curriculum in education. As a contribution for the on-going conversation on the relationship between design, narration and social media, I would like to start from a series of general observations. An introduction to the theme. A series of empirical thoughts developed in years of working at the cross-over between design, new media and narratives. We all agree that design is mostly a narrative exercise (or if you prefer, story-telling). The writer tells his stories with a novel, the musician tells his stories composing music, the designer tells his stories making objects, spaces, buildings. But then, if we start to use new and social media, are there changes and transformations? Here below, 12 points to start a conversation. 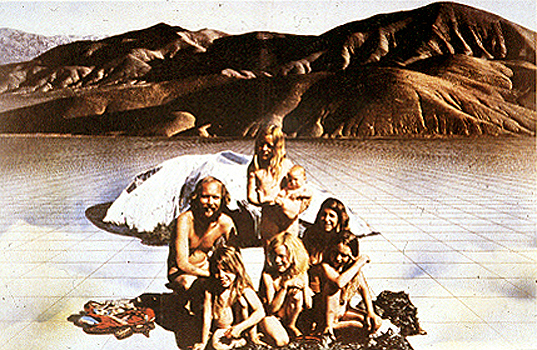 The community is the message (originally published on Abitare 532, May 2013). A few days ago a friend asked me: “But why should I learn to use social media?” This is a question that doesn’t have an answer. It’s as if someone were to ask me: “Why should I learn to play the saxophone?” The question is put in a peculiar way, but it is possible to come up with a series of sensitivities and insights that we can gain and understand thanks to intense involvement with new social media. Here are 12 points with which to start a conversation. New media don’t exist (and conversely neither do old media). To put it another way: all old media were once new, and all new media will become old. The Bic pen is an extraordinary medium. It was incredible and perfect in 1950, and it still is today. VHS and cable radio have led different lives. In short, whether the medium is new or old is not the heart of the matter. It all depends on how you use it (and what are the goals you want to achieve). This is the first and most indispensable ingredient. If you’re not generous, nothing (significant) will ever come of using social media. There is the importance of doing things for the pleasure of doing them, without a fixed purpose: the more you give, the more you take away. There is (really and truly) no possibility of taking without giving. And then if all this takes on the form of a community, a vast array of possibilities opens up before us. Walter Benjamin had his own universe of reference. It was made up of details, things on the margins, aimless strolls, Parisian shopping arcades and a thousand other more or less invisible ingredients of daily life. Here it’s the same. God is not just in the detail, but this detail is in general – and apparently – insignificant. Here too, though, if you find that detail is able to fascinate other people, at that point, a breath-taking film begins. It doesn’t. Or if it does, it comes through absolutely unpredictable mechanisms. It should never be forgotten that becoming famous on Facebook is like becoming rich in Monopoly. Try and invent a project to develop with a digital community: if you manage to reach this level you’re already doing pretty well. Hardly anybody, in truth, succeeds in making much money. For convenience’s sake, let’s forget about money. No. Inductive. The Web (and with it the digital media) is made up of millions of extraordinary unsystematised (and unsystematisable) fragments. You start out from one of these fragments and climb back up to empirical systematisations. Again, when you learn to carry out this process of “climbing” with other people, you gain a strength that would have been unthinkable in previous environments. Humour is a fundamental ingredient. This was already true for an exclusively analogue world, but it has become indispensable in a digital planet (especially in the social version). If a sense of humour is not present in large doses, it’s all a waste of time. The landscape does not exist. What does exist are spectacles of interpretation that we put on when we look around us. In our heads the oil refineries of the Po Valley start to take shape after we have seen Red Desert. The cinema, photography and television have changed our visual imagination. The same thing is happening with new and social media. The revolution is first and foremost one of imagery. It is a subtle change, and one that proceeds and advances in an invisible manner. But it is already here. In the worlds of the Web there is this very simple formula: 90-9-1. In a given digital community (be it Wikipedia or a Facebook group), out of 100 participants there will be 90 who use the medium in a passive way, nine who are sporadically active and one who generates almost all the content. Being in that 1% allows you to invent new heavenly bodies to which the remaining 99% want access. This is an element that should not be underestimated. 9. Experts They don’t exist. At best, there are people who try and try again, making mistakes over and over again: in this long and tedious process they acquire a quantity of information that is useful to others too. The on-line community is the antithesis of technocracies dominated by elites of experts. Ennio Flaiano said some 30 years ago “today even the fool is a specialist”. Well, the digital community does not allow for specialists. It is often said that digital communities are horizontal, and that there are no hierarchies. This is not true. The hierarchies and dynamics of power exist, and are perhaps even stronger than the usual ones, but they are simply implicit, unspoken. Understanding the invisible mechanisms that regulate the life of one of these communities is an exercise that offers us an insight into many facets of the here and now. The fact that the majority of these goings-on are negative does nothing but add value to the exercise. A digital layer has appeared in our lives. But this does not mean that the early analogue layers have disappeared. On the contrary: they may be even more important than before. It’s just that they now have to reckon with a new presence. In general, those who are able to make the most appropriate short-circuits between the analogue planet and its digital satellite are the ones who can get the best out of both. Obviously not all these ideas are of my own. They are the fruit of experiments and activities carried out with different communities. For a series of reasons, they have asked me to summarise them. But having got this far I cannot fail to mention the community of Gran Touristas and that of Whoami. Without the unbounded energy and enthusiasm of these people, I would not have been able to report anything at all. Then I should cite all the people with whom I exchange tweets and Facebook posts (not to speak of photos on Instagram). The list would be too long, but you’ve got the idea.